If you’re currently in the process of commissioning a new website, the most crucial part of the whole process is correctly briefing your web designer or development team. Whether you’ve already engaged with a company, or are trying to decide amongst several potential agencies; asking the right questions is extremely important. I believe there are some fundamental questions that you should be asking, right at the start of any project. There are plenty more aspects that need to be discussed, but I believe the following should help you gain a good idea of how well suited an agency might be for your project. This isn’t necessarily about trying to trip people up and catch them out, but I would say that if a company can’t come up with a good answer to these questions you might want to think twice about using them; or certainly start to discussing things in more detail. The situation you’re trying to avoid is one of hitting a brick wall further down the line. Get the details sorted out from the off, and you should enjoy a much smoother ride! One major point towards converting your customers and instilling trust, is understanding who your target audience is and making sure the design suits their tastes and gives them confidence in what you’re doing. 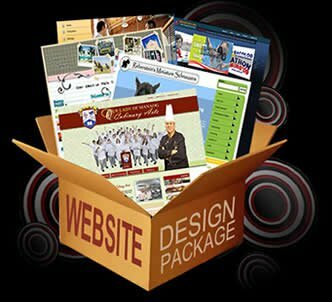 A good design should create the right ‘feel’ to your website, and make your users feel comfortable. Try to think about whether the majority of your audience are male, female, young, old etc. Will they be buying your products on impulse, or do they need more information to make them feel comfortable. The key question to discuss is how will your agency cater the design towards your target audience? This seems like a fairly obvious thing to discuss, but you’d be surprised at how many development agencies are completely unaware of how important site architecture is. When a user lands on your website, they shouldn’t have to learn how to use it. Getting from page A to page B should be easy and self explanatory. This is important for both users and the search engines alike. In the same way that a frustrated user will just pack up and leave; if a search engine spider can’t crawl your website effectively it’s really not going to do you any favours. Ask your developer how they would organise your site to make it easy to access for both your users and the search engines. When you’re gathering quotes and talking through project timelines, it’s worth asking if your new agency would be opposed to you getting a technical site audit before you sign the project off. If you’re paying a large sum of money for a website you don’t want to pay your bill, hire an SEO firm and THEN find a load of problems. Make sure there’s room in the project for an audit before sign off, when you still have the chance to resolve the issues before you pay the final bill. It’s also worth noting how they react to this question. Are they fine with it or do they get defensive? Even the most talented design team in the world are unlikely to get a design 100% to your requirements on the first go. A good designer should get fairly close, but also be open to your input in order to get to the final draft. Before you start any project, it’s really important that you check how many drafts and versions your price will include. If you don’t check this out then unplanned costs can easily mount up causing you a fair amount of problems! About the Author: Jenny Quinn is passionate about online marketing and all things web related and currently works for howtotradecommodities.com. The website is packed full of tips and advice for people wishing to learn more about trading commodities.